An inspired collection of short stories by an all-star cast of best-selling storytellers based on the thought-provoking illustrations in Chris Van Allsburg s The Mysteries of Harris Burdick. For more than twenty-five years, the illustrations in the extraordinary Mysteries of Harris Burdick by Chris Van Allsburg have intrigued and entertained readers of all ages. Thousands of children have been inspired to weave their own stories to go with these enigmatic pictures. Now we ve asked some of our very best storytellers to spin the tales. 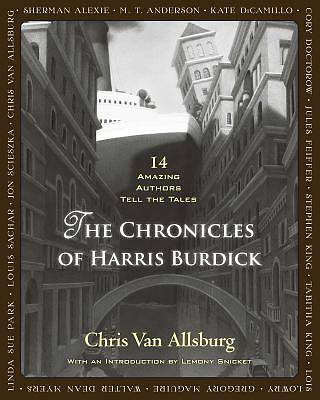 Enter The Chronicles of Harris Burdick to gather this incredible compendium of stories: mysterious, funny, creepy, poignant, these are tales you won t soon forget. Van Allsburg's Harris Burdick illustrations have evoked such wonderment and imagination since Harris Burdick's original publication in 1984; many have speculated or have woven their own stories to go with his images. More than ever, the illustrations send off their eerie call for text and continue to compel and pick at the reader's brain for a backstory a threaded tale behind the image. In this book, we've collected some of the best storytellers to spin them."